Linguistics: Why It Matters. By Geoffrey K. Pullum; Polity, 2018. [publisher’s description:] Language is the medium in which we humans compose our thoughts, explain our thinking, construct our arguments, and create works of literature. Without language, societies as complex as ours could not exist. I’ve posted here about Lynne Murphy’s book (with images of the covers of both the American and the British editions): on 4/13/18 in “The Prodigal Tongue”; the book is about “the fiction and reality of the special relationship between British and American English” (publisher’s description). Each of these books has an expository purpose, to make sense of some aspects of language and how it’s used. But each also has a corrective purpose, to dispel signficant misunderstandings about these matters — to counteract baleful concomitants of naive, or folk, linguistics. Edwin L. Battistella, Bad language: Are some words better than others?, 2005. Is today’s language at an all-time low? Are pronunciations like cawfee and chawklit bad English? Is slang like my bador hook up improper? Is it incorrect to mix English and Spanish, as in Yo quiero Taco Bell? Can you write Who do you trust? rather than Whom do you trust? Linguist Edwin Battistella takes a hard look at traditional notions of bad language, arguing that they are often based in sterile conventionality. “Adventures in the Advice Trade”: I propose a book recounting my experiences with and responses to the advice literature on English [grammar, style, and usage]. The audience for this book is essentially the audience for the high-end advice books, like the [Bryan] Garner dictionaries: people who are curious about the way the language works and want advice about how to use it. Readers should come away from the book with a healthy skepticism about instruction on grammar and usage, an appreciation of the complexity and systematicity of their language, and a willingness to look at and listen to the way English is actually used. My aim is not merely to critique the advice literature, but to expose widespread unexamined assumptions about language, to demonstrate how these reflect and incorporate aspects of the wider culture, and to show how traditional approaches to language advice can be improved by an infusion of ideas from various branches of linguistics (syntax, semantics, pragmatics, discourse analysis, lexicography, historical linguistics, sociolinguistics, and psycholinguistics). All of these projects, mine included, involve telling people — perhaps cautiously and indirectly, sympathetically and with humor, but still telling people — that some things they believe are just wrong (or, at best, seriously confused). People do not want to hear that; they resist the bad news, defensively shore up their beliefs, resent the hell out of the teller. If they’re students in a class, they might treat the teacher’s arguments and evidence merely as something they have to learn to mimic to pass the course, but then discard as soon as it’s over — and might well find their original beliefs strengthened by the experience. Or they just lapse back into their original beliefs, because those are familiar and seem simpler. Worse, this is hardly just about what people believe about language. It’s also about what people believe about how society is organized, how people think, and so on; language is bound up inextricably with everything else in human life, and people have passionately held beliefs — some of them inaccurate or confused — about all of it. The question then is whether any of what linguists do to try to set things right — the courses, the postings on the net, the books, the public appearances, the documentary movies, the pieces in magazines and newspapers — has an effect. Do we win any hearts and minds? Surely not in proportion to the effort we put into the exercise. Over 70 years of demonstrations that non-standard varieties (especially African American Vernacular English, because of its immense social significance in the US) are fully complex and systematic forms of language seem to have led to a small but real shift in public opinion, but not so much that (just on AAVE alone) we no longer need the constant vigorous efforts of Labov, Wolfram, Rickford, McWhorter, and many others, including the authors of the books above. What’s crucial in reception of our work is that the audience must be open to us, willing to listen. Back in 2005-06, I’d been engaged for years in friendly but focused discussions about grammar, style, and usage on the net, mostly on the Usenet newsgroup soc.motss (for lgbt folk and their friends), where I believe I genuinely changed a fair number of minds. And I believe I’d occasionally moved a few students in my undergraduate courses on language, culture, and society; and a few readers of my postings on Language Log. Now, at the SHS I was faced with an audience of highly accomplished academics, most of them, however, with attitudes and beliefs about language not much different from other people. I discovered this when I gave a presentation, very early in the year, on dangling modifiers in English (handout available here). Parts of the discussion were thick with talk of correctness, rules, lazy and ignorant speakers, and the like. Fairly tough going for me. Now, I was there as an authority on arcane matters of linguistics, and everyone recognized my standing. But most of them — equally, authorities on their own arcane matters, of literature, history, culture, art history, and so on — pretty much instantly fell back on their own systems of naive, or folk, linguistics, which significantly fogged over their ability to take in what was saying. But things improved as the year drew on. What changed? I think it was that I became more than an authority; I became an acquaintance, even a friend, who engaged with them personally on a daily basis. These personal connections made it easy for them to entertain my ideas, presumably because they no longer saw me as contesting over beliefs with them. Something similar seems to have happened on the net. My impression is that my writing about language on soc.motss was hugely more influential in changing minds than my postings to Language Log. Again, the difference was almost surely the personal connections, established on soc.motss (people posted there at length about their personal lives and offered each other both advice and support). 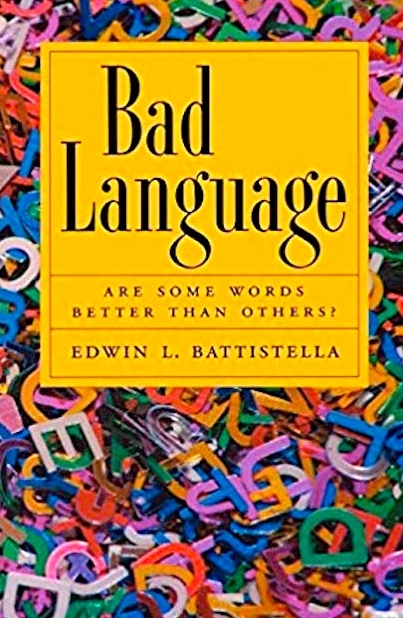 Then Ed Battistella’s Bad Language book came along, and I admired it, but realized that it did many of the things I was proposing to do in my book — and also that it didn’t seem to be having any visible effect on people’s attitudes about language. 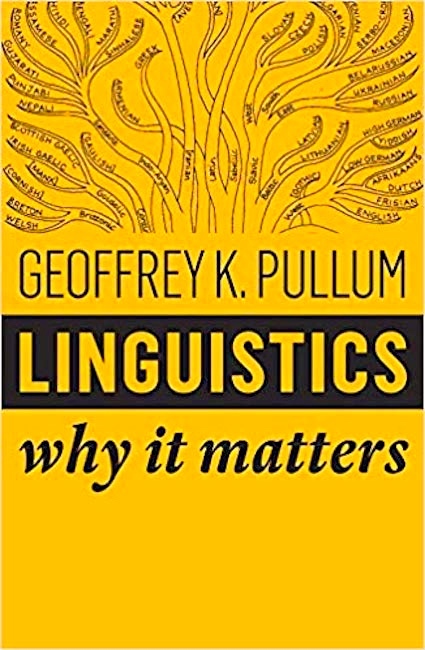 So I lost heart in the book project, and eventually developed a much more personal way of writing about language, on this blog, leaving the heavy public lifting to Pinker, Nunberg, Murphy, Pullum, Greene, Zimmer, and others who are good at it. 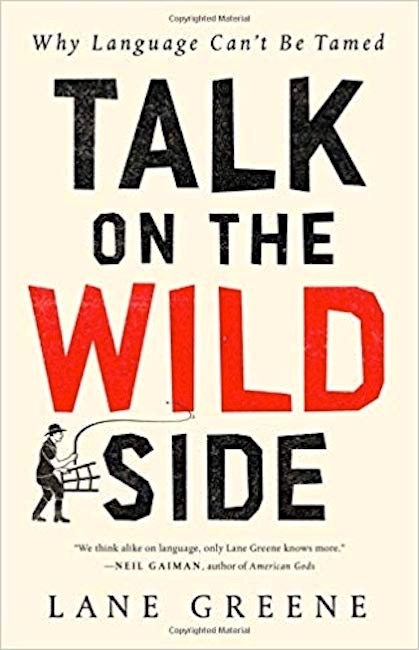 This entry was posted on December 9, 2018 at 10:43 am and is filed under Books, Linguists, Usage advice, Usage attitudes, Variation. You can follow any responses to this entry through the RSS 2.0 feed. You can leave a response, or trackback from your own site.